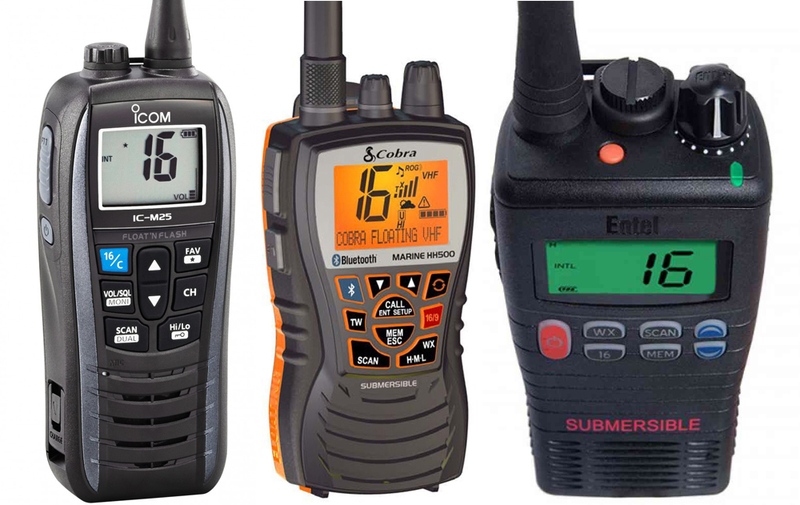 From £50 to £400, the modern handheld VHF is an impressively versatile tool for any boater or sailor. Alex Smith picks 10 of the best. 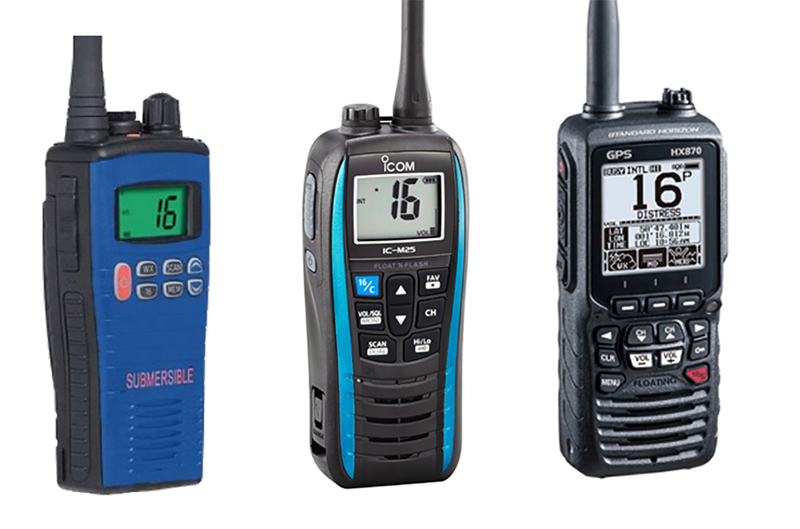 There is a very large and active market for handheld VHF radios. 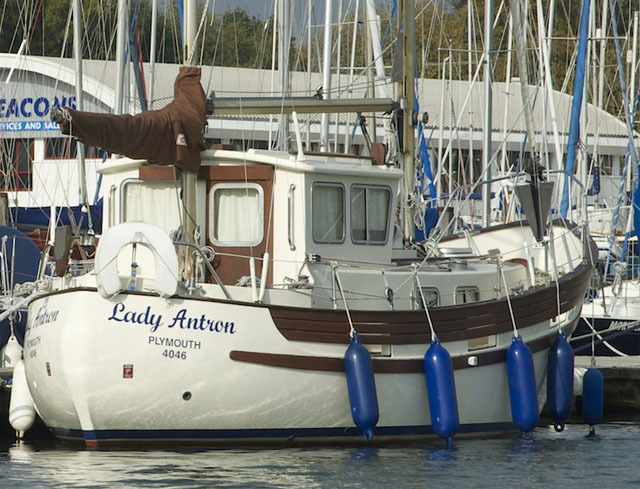 After all, while a fixed VHF radio, with its large, elevated external aerial, its permanent power source and its generous physical proportions, is always likely to give you better performance as a marine communication device, the compact size, easy portability and independent battery source of a modern handheld make it not just a useful backup but also quite a capable standalone device for small craft with short-range communication requirements (see Handheld VHF survives 120 days lost at sea).. 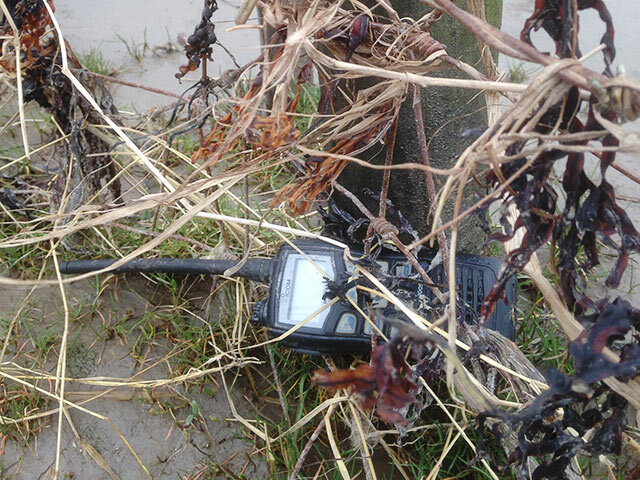 In terms of basic features, a really good portable VHF radio should be waterproof to at least IPX4 and ideally IPX7. It should also be powerfully constructed and buoyant; and it should provide a simple user interface with big buttons, an easily legible screen and idiot-proof shortcuts. In addition to a long battery life, you should also look for a generous array of channel presets (with dual or even triple scan facility), a lengthy warranty of three years or more and transmit power of around 5W. There are plenty of other modern features available, like weather alerts and even Bluetooth capability, but for most boaters, Digital Selective Calling (DSC) is the most exciting feature in the armoury of the modern handheld. It enables you to contact a similarly equipped craft directly or to send a distress signal embedded with your identity and location at the press of a button. It is a much more effective means of getting emergency help than a simple voice request on CH 16 - and for that reason alone, it ought to win a place on your wish list. 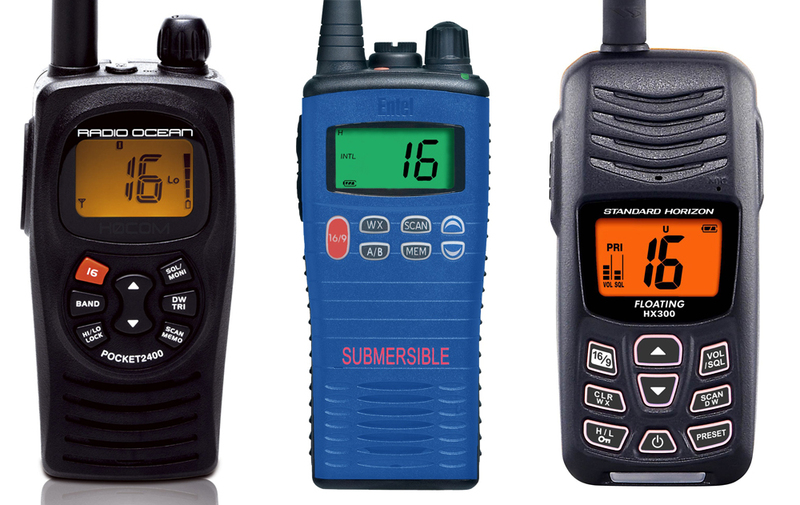 But whatever features you favour, you should be aware that the Marine Radio Short Range Certificate remains a legal requirement for the use of any marine VHF radio in the UK. While 5 or 6W transmit power is now routinely available, you should not expect a handheld to match a fixed unit with masthead aerial for transmission range. Submersible (IPX7) rather than splashproof (IPX4) construction is a very useful asset on a handheld radio. The ability to run on disposable batteries can be a valuable (and affordable) safety net for those concerned about reliable power. If you can afford it, a DSC-equipped radio is a valuable asset, both for fast, effective emergency alerts and for contacting specific users. Be aware that the Marine Radio Short Range Certificate remains a legal requirement for the use of a marine VHF. Cobra’s most basic entry-level handheld features an output for an external speaker/mic, a signal strength meter, a key lock, a large illuminated display, a 12V charging lead and a belt clip. The selectable power output of 1 or 3 Watts is quite modest but with instant Channel 16 access, IPX4 waterproofing and five 850mAh NiMH rechargeable batteries, the Cobra remains very good value for money. The splash-proof (IPX4) Pocket 2400 comes with a 13-hour battery life (on standby), plus switchable 5W/0.8W output, dual and tri-watch functions, 56 channels and a backlit display. It comes with four rechargeable 1300mAh NI-MH batteries, a 240V charger, a belt clip and a strap as part of the standard package, but the 12v charging lead, waterproof cover and microphone are optional extras. The RA 2400 (2), the Entel HT20 (3) and the Standard Horizon HX300 (4). Coming from a company with such resounding commercial pedigree was always an auspicious start for the HT20 and its performance doesn’t disappoint. Its robust polycarbonate IP67 casing comes with rubberised side grips for easy handling with wet fingers or gloves and its high-visibility backlit display with a simple, seven-button keypad make it very easy to use. It comes with a huge capacity (2000 mAh) Lithium-ion battery pack allied to 5-watt or 1-watt output for more time at sea, plus VOX, which allows you to use the radio hands free. With 5W transmit power, IPX8 waterproofing, integrated buoyancy that enables it to float face up and a water-activated flashing LED that helps you locate it if it goes overboard, the HX300 is a very capable marine unit. Despite the compact case, it comes with a USB cable with 230VAC adapter for extra flexibility when recharging; and the ‘E2O’ (Easy To Operate) menu system allows intuitive access to all the setup functions. It comes with Programmable Scan, Priority Scan, Dual watch and Tri Watch and a belt clip and hand strap are included as standard. The IC-M25 is built around a rugged, waterproof (IPX7) body, with a ‘Float n Flash’ facility, which activates a bright LED if the radio is dropped overboard. You also get an ‘AquaQuake’ facility to remove water from the speaker, plus a 5W Output, a Tri-watch mode and a Lithium-Ion battery with an 11-hour operating time. Despite a user-friendly screen that is 30 per cent larger than its predecessor, the IC-M23, the new radio retains very compact dimensions and a weight of just 220g. The Icom IC-M25 Euro (5), the Cobra HH500 (6), Entel HT644 (7). As the replacement for the much-loved HH475, the new HH500 is Cobra’s flagship handheld and it shows. You get Bluetooth capability, plus a ‘Rewind-Say-Again’ facility, enabling you to replay the last 20 seconds of a transmission. In addition to ATIS-compatibility, you also get a ‘Burp’ feature to shake water free of the grill, plus output options of 1, 3 and 6 Watts and a noise-cancelling microphone. The battery capacity isn’t huge but with a signal strength meter, a button lock, illuminated keys and a Tri-watch facility, it is an impressively specified radio. For those who like to engage in the rough and tumble of year-round open boating, a unit like Entel’s HT644 makes good sense. It comes with commercial grade construction, a 2000 mAh Li-Ion battery pack for 12.5-hour use and class-leading IP68 submersible waterproofing (five metres for one hour). It also has the ability to function at anything from -20 to +55 degrees Centigrade, plus a Keylock safety function, VOX hands-free operation and Entel’s classic seven-button interface for user convenience. 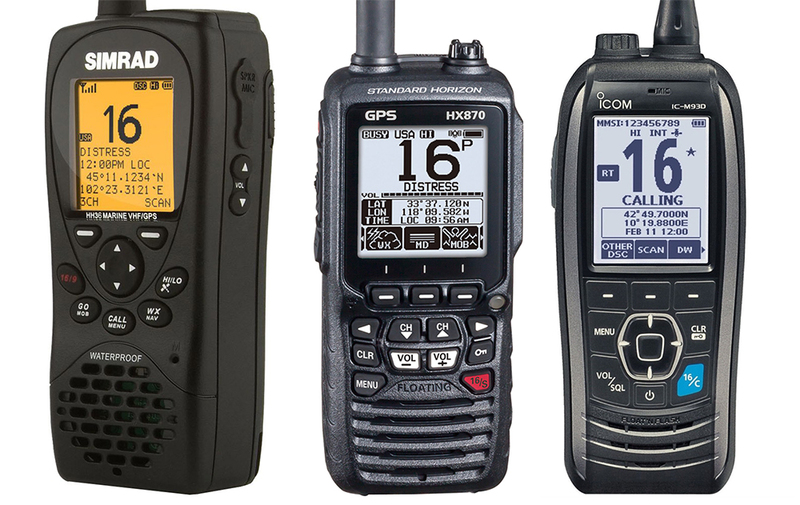 The Simrad HH36 (8), Standard Horizon HX870 (9) and the Icom IC-M93D (10). While Simrad is not especially well known for its handheld equipment, the HH36 has plenty going for it. In addition to a very loud 700mW speaker for clear communication in noisy environments, you get a large LCD display, built-in buoyancy, selectable 5W/1W transmit power, Dual Watch, Keylock and Man Over Board functionality. The battery capacity isn’t huge, but you can extend operation from eight to 13 hours on the ‘Power Save’ setting - and at less than 300g, it’s even moderately lightweight for a unit of its type. Standard Horizon’s powerful 6W HX870E comes with built-in GPS/DSC, plus a buoyant die-cast chassis, an IPX8 submersible waterproof rating and a generous 1800 mAh Li-Ion battery. 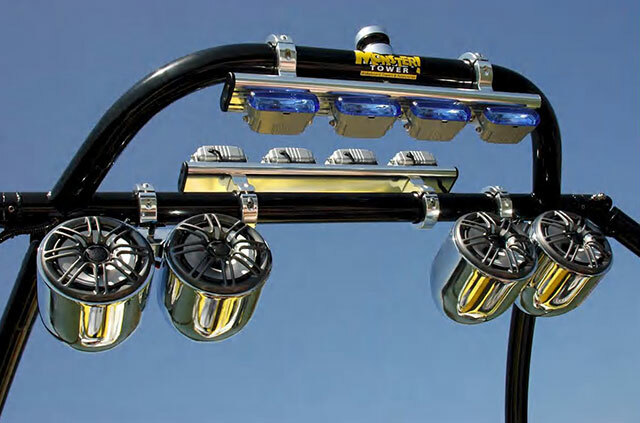 It also employs a glow-in-the-dark gasket, NMEA compatibility via the charger cradle, an LED strobe light with various flash patterns (including SOS), and an impressively watertight three-year warranty. It can save up to 200 waypoints and 20 routes and you can track them via the compass page, which shows SOG, COG, bearing and distance to each waypoint. As the replacement for the IC-M91D, the IC-M93D EURO is extremely high spec. It comes with a dedicated DSC receiver, which continuously monitors CH70 independent of other operations – and at just 38mm deep, it is also reputedly the slimmest floating VHF/DSC marine handheld transceiver on the market. An intuitive interface with 2.3-inch full dot matrix, high-contrast display and soft keypad shortcuts makes it very easy to operate, even in bright sunlight and the rest of the functions feel equally high-end. From the ‘Float’n Flash’ and ‘MOB Auto Set’ functions to the ‘Bidirectional Active Noise Cancelling’, the 700mW speaker, the AquaQuake draining tool and the Dual/Tri-Watch facility – it’s a worthy flagship for the Icom range. Read also Handheld VHF survives 120 days lost at sea. Looking for a handheld GPS? see our feature How to choose a GPS: 10 of the best GPS handhelds.